Anchor Mill Studio were on hand to take some photographs of the build up to Saturdays Fireworks Display in Paisley, as you will see it was a fantastic day all round, well done to everyone involved. You can be in with a chance of winning VIP family tickets to ride on Buddies open top bus during the Piazza Elf Parade on November 10th. Limited availability. Renfrewshire Councils annual fireworks display takes place on Saturday, 3 November 2012 in Paisley town centre. 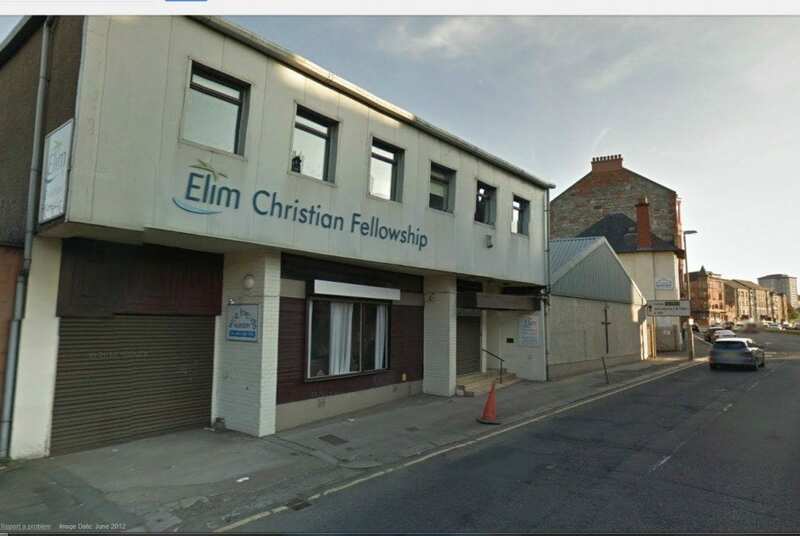 Elim Christian Fellowship located on Gordon Street in Paisley will be running a “fireworks cafe” also on 3 Nov to coincide with the Councils display. The café opens at 6.00pm and closes at 7.30pm. For a small donation you can enjoy a hot cup of tea, coffee, home made soup, juice, home baking and biscuits. All are welcome and all proceeds will be donated to St Vincent’s Hospice in Paisley. Renfrewshire Arts & Museums are delighted to announce that the new calendar, ‘A Tale of Two Decades’, is now on sale. This fascinating calendar showcases a selection of nostalgic photographs of Paisley, dating from 1960 to 1979. Featuring well-known locations such as the Town Hall, Paisley Abbey and The Watermill Hotel, this year’s calendar is sure to evoke memories for locals who lived in the town during or around that period. Each of the photographs originate from the archive collection held at Paisley Museum. This collection comprises of over 20,000 historical images dating from the 1850’s up to the present day and features pictures relating to Paisley and other parts of Renfrewshire. Earlier in the year, when preparations for the 2013 calendar first began, Renfrewshire Arts and Museums enlisted the help of their Facebook followers to help shortlist the huge selection of pictures we had to choose from. As a result, the image of the Christmas Lights over the River Cart from 1979 emerged as the clear favourite and the perfect choice for the front cover of the calendar. The archive collections are available to view in either Paisley Museum or Paisley Central Library. Copies of images from the historical photographic collection are available on request. A range of postcards and prints are also available to buy from the Museum shop. Chart-topping girl-band Stooshe are set to put an extra bit of spark into Paisleys Christmas Lights Switch on this year. The band will top the bill at this year’s event which for the first time will have all the main performances funded through private sponsorship. Stooshe have taken the charts by storm in 2012 with their hits “Love Me” and “Black Heart” and their own unique style and lyrics ripping the traditional girl-band image to shreds. The girls, who are soon to be supporting J-Lo on her UK tour, will be headlining a full day of festive fun on Saturday 10 November before officially switching on Paisley’s Christmas lights. Before the big finale there is also a terrific line-up throughout the day including the Red Hot Chilli Pipers and The Singing Kettle. Renfrewshire Council have so far secured over £16,500 in commercial sponsorship for the event which will be used to fund the performers. The main acts have been revealed following the announcement that this year Paisley will have two separate Christmas lights and Fireworks events providing a double events boost to the community and local retailers. The event kicks off at 12 noon with the Piazza Shopping Centre’s traditional Reindeer parade from Gilmour Street, which will this year be lead by Santa with some special help from Buddie the Elf. There will also be a Christmas farmers’ market and craft market. The Clyde 1 Roadshow team will be leading the entertainment on the main stage from 1pm introducing the performers and offering some fantastic giveaways throughout the afternoon. Sponsors so far include the Piazza Shopping Centre, the Paisley Centre, Braehead, St Mirren FC, Ingliston Country Club, Reid Kerr College, Renfrewshire Chamber of Commerce, Strathclyde Police, University of the West of Scotland, Renfrewshire Leisure and Central Building Contractors. Paisley’s Christmas Lights Switch on Saturday 10 November. To keep up to date with all the event details follow @rencouncilnews on Twitter or like www.facebook.com/renfrewshirecouncil. Video of the Santa’s Parade through Paisley on Saturday the 5th November 2011.